TALK and WORKSHOP: "TOUTE UNE NUIT, WE PLAY"
“Toute Une Nuit, We Play” was in part inspired by Winnicott's ideas of playing and reality and Ackerman’s “Toute Une Nuit” film where people in the almost wordless night are examined in their relationships of acceptance, rejection, and insomniac bustle. This workshop and talk used creative motor and sensory impulses, to investigate: What worries you and keeps you up at night? 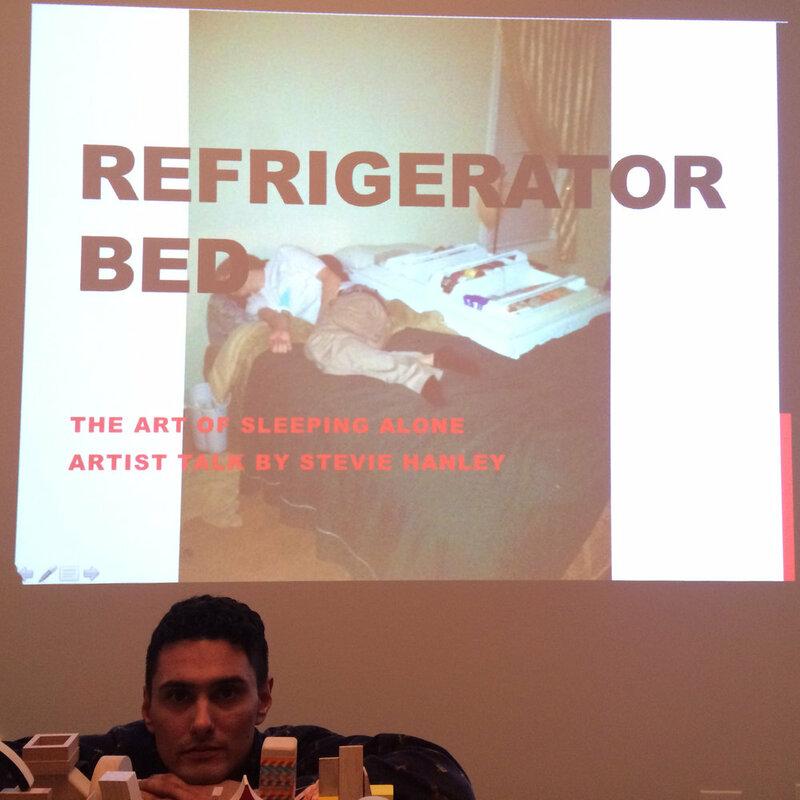 An Artist Talk was presented by Stevie Hanley, titled "Refigerator Bed, the Art of Sleeping Alone". The objective for the workshop was to cultivate an atmosphere of experimentation and conversation through collective play, research, dialogue and listening. The project included 2 screenings and a field trip to 817 Bodies at the Center for a performance by Gregg Bordowitz and Marisa Perel. 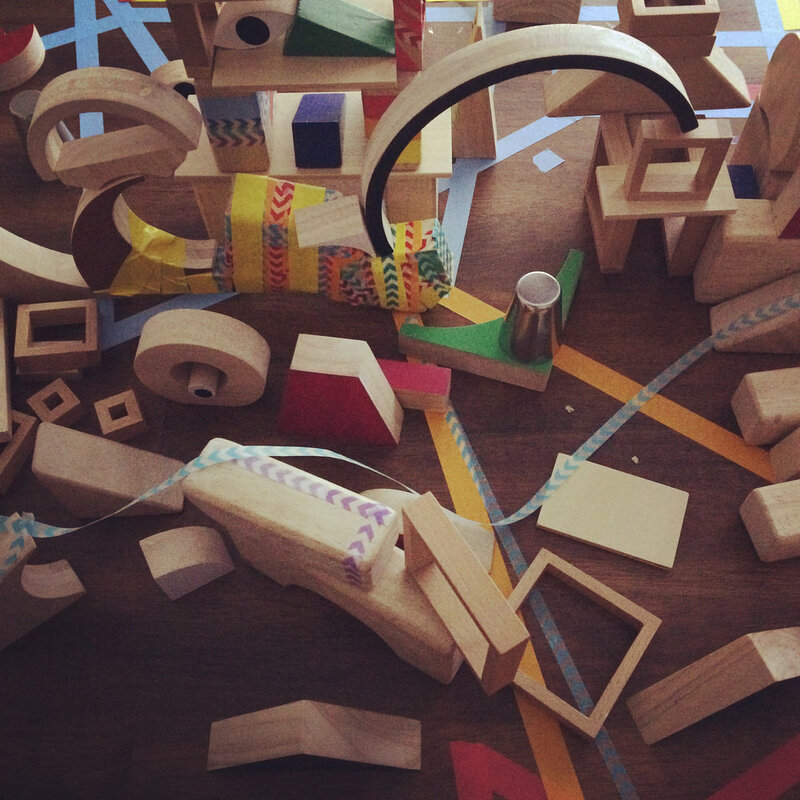 A communal experience manifested through sharing space, wooden blocks, a creative writing prompt, and meals. Artists were asked to bring a poem, research, experimentation, old/new ideas, and their voices. 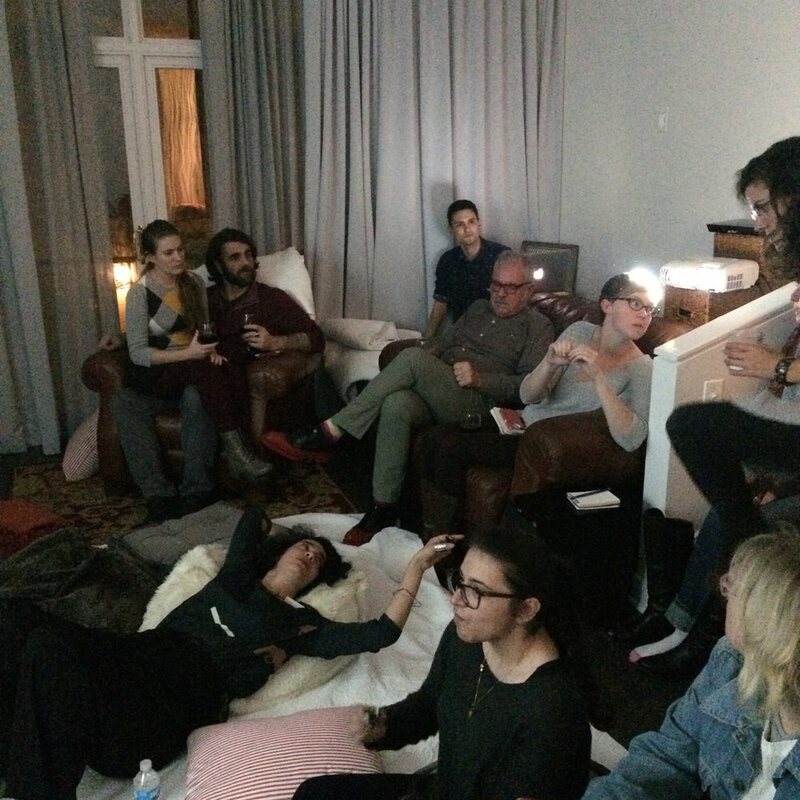 The night was curated by Janice Marin and Alissa Channin. Chef Michael Cunningham created dishes that combined fine European continental techniques, American sensibilities, and exotic ingredients. In his 15 years in the culinary field, Chef Michael has been awarded for his cutting edge concepts and creative cuisine in New York’s capital region. Presently, Chef Michael co-owns a gourmet pastry shop in Troy, NY.